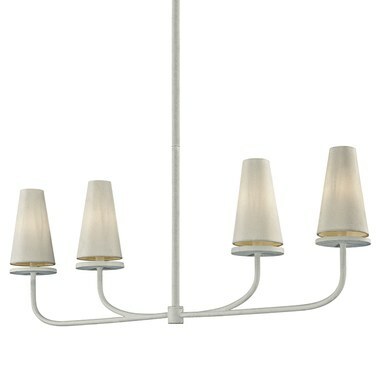 Combining modern minimalism with an architectural-inspired form, the Marcel four-light linear chandelier offers an elegant look for contemporary spaces. The Marcel creates a strong visual effect with striking lines and a simple silhouette. 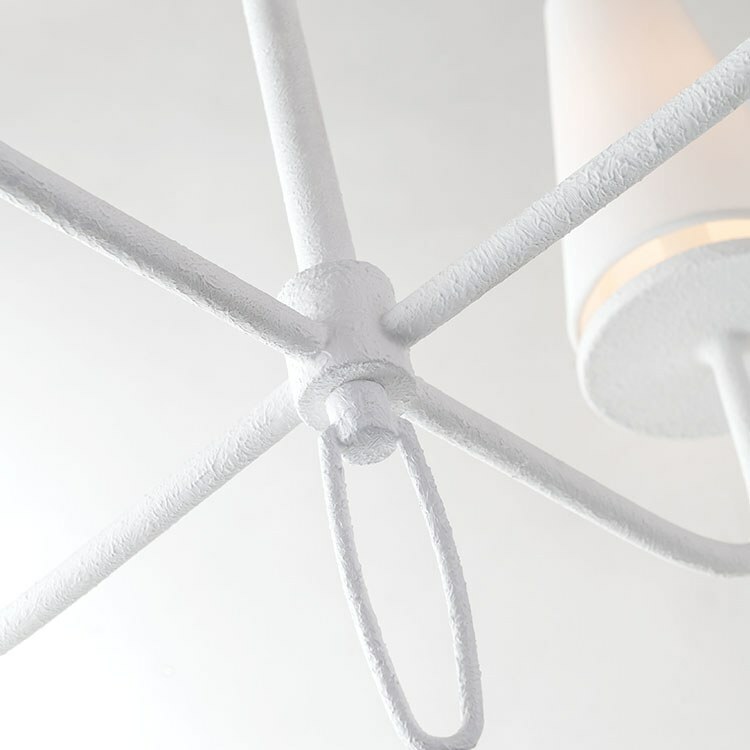 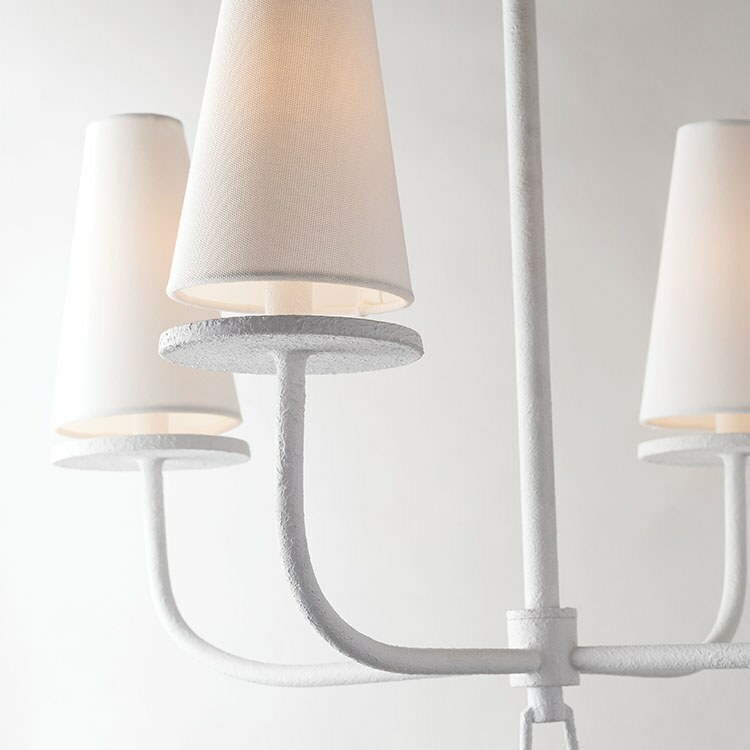 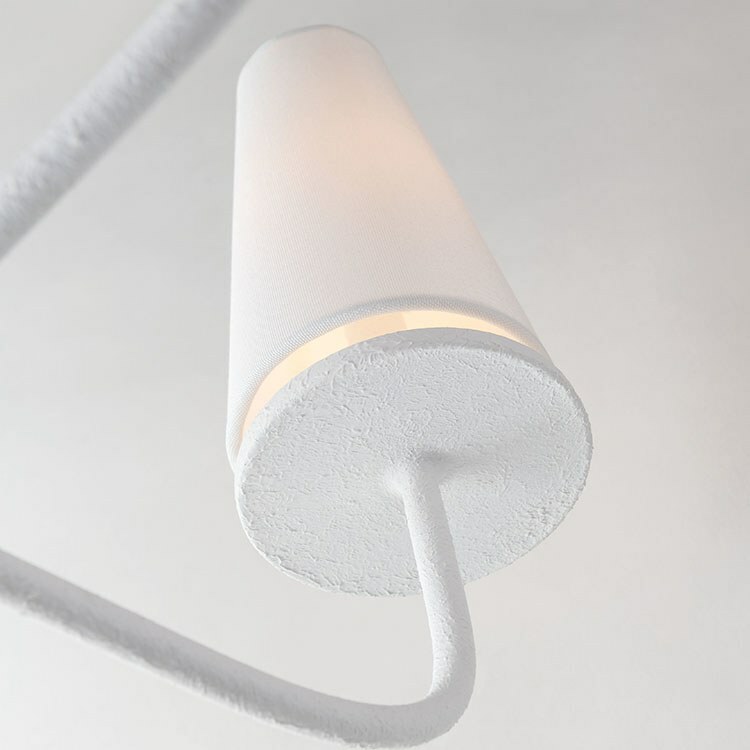 Featuring a hand-worked iron frame, the fixture is finished in textured White Gesso and topped with tall, tapered off-white cotton shades.